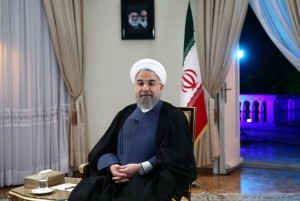 President-elect Hassan Rouhani has received official confirmation as the country’s political leader after Supreme Leader Ayatollah Ali Khamenei handed him his appointment letter in confirmation of the election results. Rouhani who is embarking on his second term is expected to be sworn-in on Saturday at the parliament. He would present his cabinet before the end of the month. In acceptance of his appointment, Rouhani said the election result was “the voice of the people” and it must be respected. His first term in office has been dominated by policies geared towards ending diplomatic tussles between Tehran and other countries over its controversial nuclear program with the sealing of the Nuclear Framework agreement in 2015. The deal reduced the friction between Iran and the West but the election of Donald Trump as president of the United States has reignited the debate over the nuclear program and Tehran’s regional policy. Trump has expressed skepticism about the nuclear agreement, which significantly reduced the scope of Iran’s nuclear program in exchange for lifting sanctions, and has sought other ways to keep the pressure on Tehran. Washington imposed, late last month, fresh sanctions on Iran despite compliance with terms of the agreement, Speaker of the Iranian parliament had said, announcing that Tehran called upon the nuclear pact implementation watchdog to address the violation of the historic 2015 nuclear deal by the US. For Tehran, the new sanctions breach the Joint Comprehensive Plan of Action (JCPOA), with the United States, Russia, China and three European powers in 2015. Conscious of the task ahead, President Rouhani said “the time for unity and cooperation has begun” because the election has ended. He called on “all those who seek the greatness of the country” to support him on his second term. Written by: Peter Mulvany on August 3, 2017. Posted by Peter Mulvany on Aug 3 2017. Filed under Headlines, World News. You can follow any responses to this entry through the RSS 2.0. Both comments and pings are currently closed.